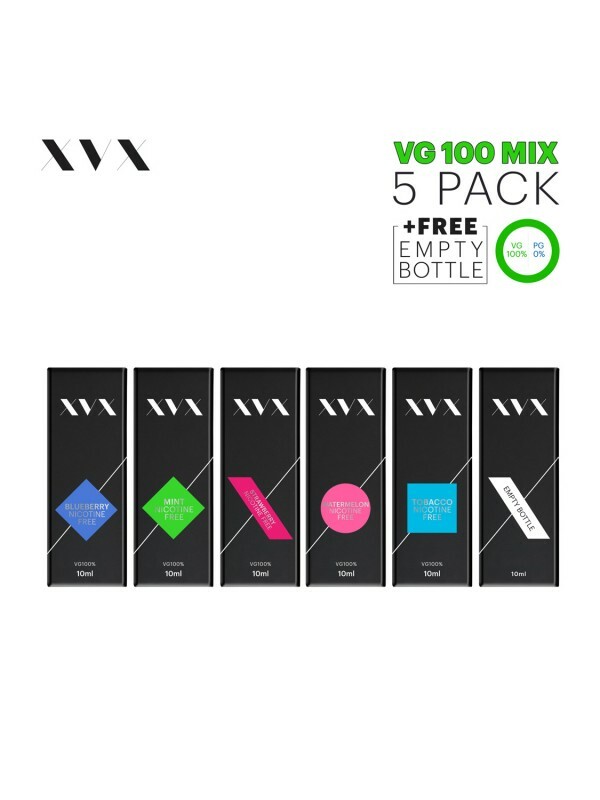 This listing is for The XVX E Liquid VG100 Mix 5 Pack - 5 x 10ml Bottles with Needle Tips. XVX believes in better, that's why all of our eLiquid bottles come with a needle tip, this ensures precision pouring without spills. 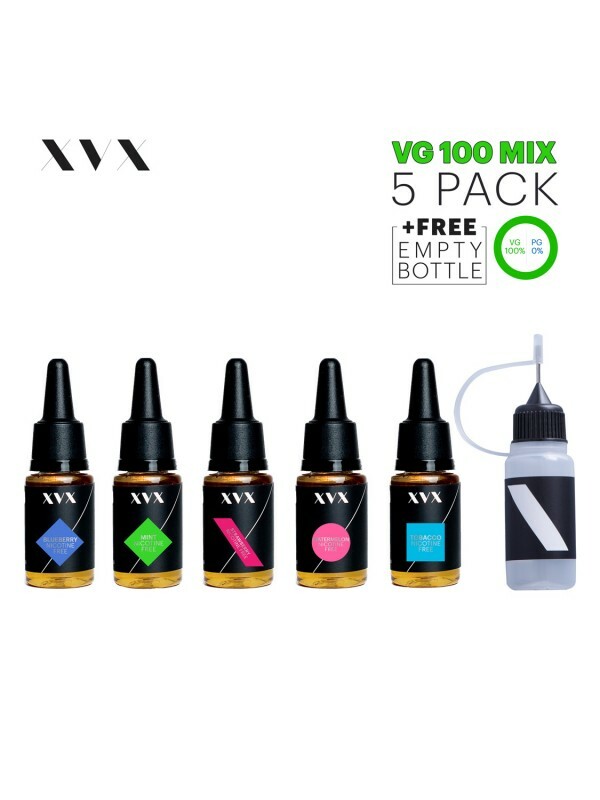 For best vapour clouds & results all round, XVXVG 100 eLiquid range use a VG Base, this ensures a thick eLiquid with a high viscosity which means bigger vapour clouds compared to our 70/30 mix bottles. For use with pro tanks & high quality vapourisers, all XVX branded vapourisers are recommended to be vaped with XVX Eliquids.